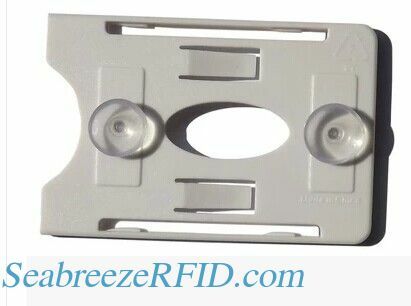 IC card is mainly used for large-distance vehicle management, the installation fixed RFID cards, and other applications require fixed a standard cards. Appearance generous and practical, fixed simple, convenient card and take the card, usually adsorbed or attached to the inside of the windshield of the vehicle, it can be screwed to wood floors, shelves , walls and so on. 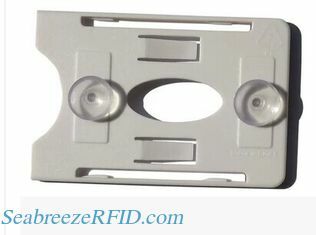 IC card fixed holder has suction cups (adsorption cups) type holder and adhesive holder type can be selected. 3, will be hard Suction cups press in smooth face off, all required cups outside edge in contact with the glass surface. 4, along the outer Suction cups press with finger, make sure cups completely sealed with the glass surface. The front-side, left and right sides have holes, can use Suction cups or screws to fix them in the wood plate, shelves, walls, etc. The back-side is equipped with suction cups, can paste on the car window. 3, a finger pressing the adhesive type holder, ensure card holder with the glass surface completely glued.